THE MEA CULPA returned to the Hawaiian Islands again in 2012 for the first time since 2007. Again, this was first port of entry into the United States. This entailed a few things, being greater than 300 gross tons and foreign flagged. A 96-hour Notice of Arrival (NOA) is required to be submitted online via the National Vessel Movement Center (www.nvmc.uscg.gov/). Masters must establish an account and submit online (enoad.nvmc.uscg.gov/). There is also a requirement of a Certificate of Financial Responsibility (COFR) which is issued through the National Pollution Funds Center (npfc.uscg.mil/cofr/default.aspx ) and your own insurance company will need to fax a binder to NPFC. Also note, that it is a requirement for all non-US crew to have visa’s in their respective passports prior to entry into the United States. The B1/B2 visa is the only visa needed for boats intending to cruise the USA. A C1/D visa will not work for yacht crew as the entry is only for 29 days. The best way to obtain this visa is in the individuals own home country at the US Embassy. For any foreign flagged vessel visiting the United States for the first time, the US Coast Guard will dispatch a frigate to meet you on your inbound journey to your destination port, may it be Kona, on the big island of Hawai’i or another port. All of the ports in Hawaii fall within the Honolulu US Coast Guard Captain of the Port Zone ( homeport.uscg.mil/ ). Click port directory and pick one of the 42 ports in the USA. In 2007, we were instructed on where to meet the ship and advised to remain 12 nautical miles off the islands. Our overall experience of being boarded by the US Coast Guard was a professional, efficient, friendly meeting and inspection. Declare everything! The latest regulations on electronic NOA’s is that it must be submitted for each port from US to US for the notice of arrival to the next US port. It has to be done 12 hours in advance for passages less than 24 hours; 24 hours in advance for passages between 24 and 96 hours in length and 96 hours in advance for all passages over 96 hours, such as a further trip to the continental USA. The fishing in Kona was the best in the Hawaiian Islands. We hooked a 450 pound blue marlin and caught some nice wahoo. For charter fishing in Kona there is a big fleet in Honokohau Harbor. We fished with Captain Teddy Hoogs of the “S/F Bwana” a 46’ Gamefisherman (hawaii5-0@hawaii.rr.com). There is a NOAA weather buoy (17o 32.60N 152o 28.25W) to the East of the southern end of the big island where we caught five species in an hour and half of fishing, including a blue marlin. The other NOAA Buoy is called the Tsunami Buoy at 19o 36.7N 156o 35.0W, which was very productive for Dorado. Finding the buoys is sometimes challenging if the sea state is such and the radius is some 1800M. Anchoring in the Hawaiian Islands is best for vessels with at anchor stabilization. 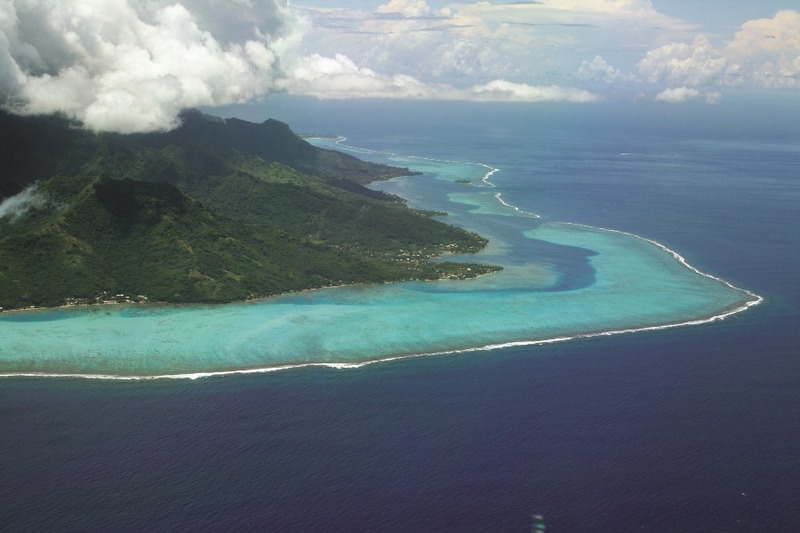 These islands are not protected with numerous bays and coves such as in French Polynesia, as they are large volcanic islands shooting out of the ocean floor. There is an active volcano flowing lava called Kilauea, which started erupting in January 1983 and is visible from visiting yachts on the South East coast of Hawai’i. In Kona, we anchored at 19o 38.07N 155o 59.94W. 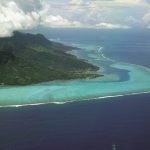 Further South we anchored at Napoopoo where Captain Cook’s monument is located 19o 28.42N 155o 55.5W, and be sure to stay outside the marine park when anchoring. On the island of Maui we anchored in Maalaea Bay at 20o 46.8N 156o 28.3W and in Lahaina, Maui we anchored at 20o 51.6N 156o 40.66W, nearby the Coast Guard Buoy. We dropped off the guests at anchor via tender and anchored at 20o 47.27N 156o 30.50W which was much closer to the airport than from Lahaina. Just up the hill in Paia is a private getaway bed & breakfast “Mangolani” # (808) 579-3000 (davestein@hawaiiantel.net), hosted by surfer Dave Stein, who surfs huge waves on Maui’s famous “Jaws” break. In 2007 we cleared into Kailua-Kona, anchored and met the Customs officers at the pier. 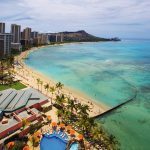 (Tel: 808-334-1850 Hawai’i, 808-522-8001 Oahu, 808-877-6013 Maui, 808-822-5673 Kauai). Later we traveled into the Ala Wai Harbor on Oahu and watched surfers as we transited the channel. The Waikiki Yacht Club is at 21o 17.20N 157o 50.57W the channel is clearly marked and don’t go outside it. Waikiki Yacht Club 808-955-4405 and the dockmaster Jerry Mount can be emailed at portcaptain@waikikiyachtclub.com The yacht club was very receptive to superyachts and their crews in 2007. They provided good dockage, receptive emails, package receipt, allowance to utilize the yacht club (especially the bar), gold card for a car to park in lot, gate keys for crew, allowed sub contractors to come work on the vessel at your dock, provided guidance, introduction to the fuel dock as well as asking us to fly the Waikiki Yacht Club burgee. I understand that since our visit, the WYC has installed 3 phase shore power for visiting superyachts. NavTech Electronics 808-848-7600, Liferaft & Marine Safety Equipment: 808-839-5063. Larger yachts might use the ship’s agent located in Honolulu who recently handled the M/Y Attessa IV. Moorage and fuel is available in the main port now at the new marina at Aloha Tower. 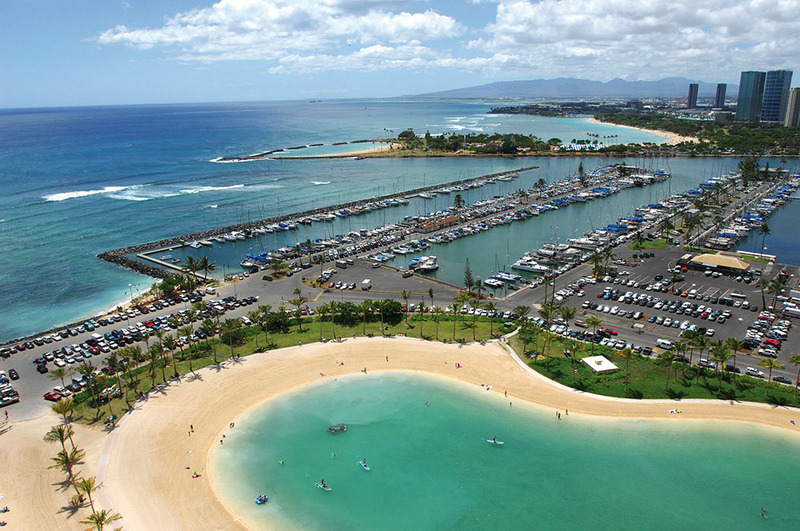 In 2012, we cleared in with customs and immigration and moored at Ko Olina Marina & Resort, West of Pearl Harbor (www.koolina.com/). 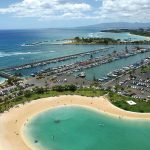 Ko Olina offers fuel, dockage, great shore power, golf and three hotels including two Marriott’s and one Disney property. The sensational Dockmaster is Chuck Krause and star office manager is Suzanne Krause. 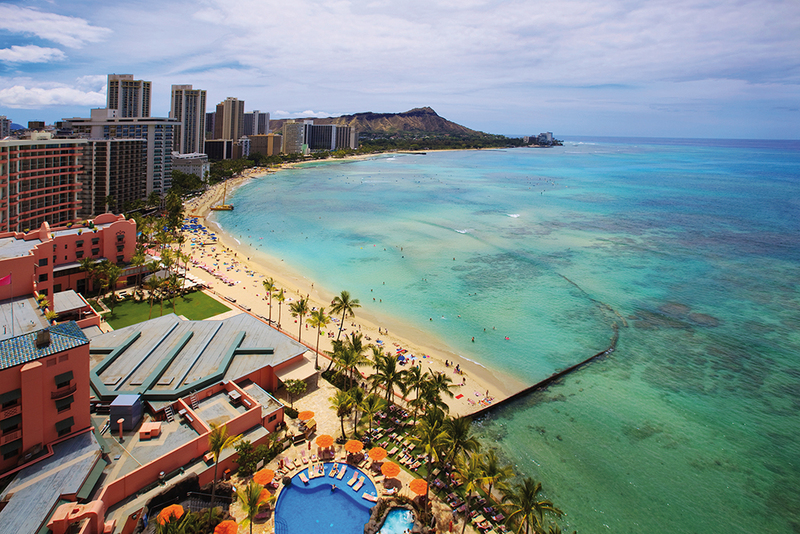 Contact them at c.krause@koolina.com and Suzanne@koolina.com. I did however still need to travel to the main Customs in the port near the Aloha Tower to obtain a US Cruising License. All services and contractors mentioned above will transit to Ko Olina for service. Be sure to call or email Les Vasconcellos (lesvas@hawaii.rr.com) for any bottom cleaning or underwater work. 808-955-3512. Another strong recommendation is to rent a Harley Davidson Motorcycle and cruise around the islands. 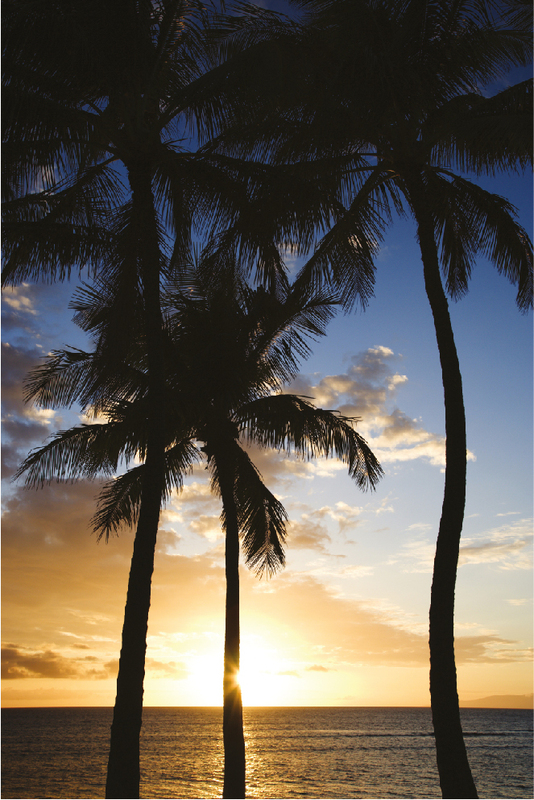 Oahu can be done in one long day, but the big island would take at least two. You’ll be amazed at how many “friends” you meet in one day! Lastly, I need to mention the best way by far to visit the Hawaiian Islands is on a race boat in the Transpacific Yacht Race from Los Angeles to Honolulu. The sleigh ride down the Molokai Channel to Diamond Head light finish is one you’ll remember for the rest of your life. When departing Oahu for California, typically the breeze is on the nose at 25 – 30 knots. We have always headed North and sailed around the Pacific High. We used a weather routing service from Applied Weather (www.appliedweather.com/) and their daily service Bon Voyage we’ve been using for years. Once to the High, cross through the center and exit the Northern side. Then you’ll be sure to enjoy wind on the beam and aft quarter for your passage onto California, Seattle or Alaska. There has been much speculation as to the amount of flotsam in the water in the Pacific High, and I even read that the area was the size of Texas. We found this not to be true. Certainly there were signs of fishing gear, ropes, buoys in the high, but fortunately we didn’t encounter the 165 ton dock structure that floated onto an Oregon Beach, just two days after we arrived into Seattle this year. Many vessels transit to Kauai and stay in Nawiliwili (21* 57.25N 159* 20.7W) which is a port on the south end or anchor, to the North, in famous Hanalei Bay (22* 12.6N 159* 30.4W) and hope to see “Puff the Magic Dragon.” This enables a slight advantage on the Pacific High, as the islands are further West and this provides a better angle to the wind for the passage North. 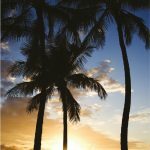 While in Kauai, we suggest visiting the Ka Hale O Luina (http://www.oluina.com/) and for a pampering be sure to call Bruna or Carter, (oluina@gmail.com) efore you depart the natural beauty of the Hawaiian Islands.